Former World Cup venue, Newnham Park, Plymouth, is well known for its hosting of Bontrager 24/12, one of the UK’s top 24hour events and has gained a reputation on the National XC scene for delivering one of the country’s most technically challenging courses, testing riders to their limits on both the ups and downs of the terrain. 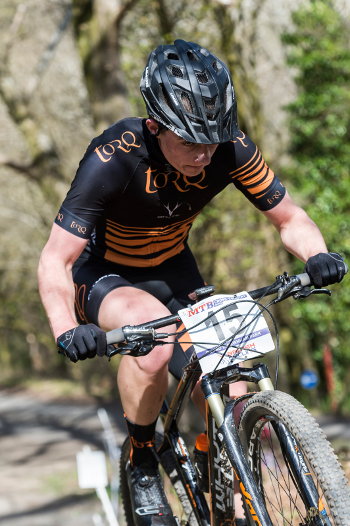 After some exceptional performances in Round 1 at Pembury, there were high hopes going into Round 2 of the Series with the riders all in top form. In the Men’s Expert category, Jake Phelps made it 2 victories in row, dominating the race to win Gold again, an astounding 4 minutes ahead of 2nd place with a time of 1:3:19 which would have given him an equally impressive place in the Elite category. 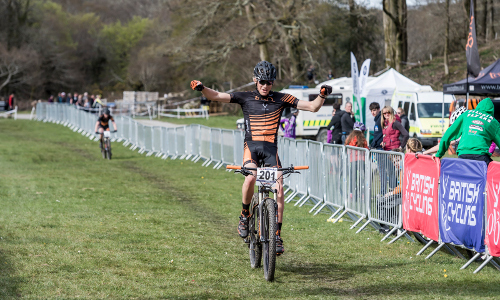 The Men’s Elite race saw Alex Welburn continue his form from Round 1, finishing in 9th position with Joe Griffiths shortly behind in 15th. 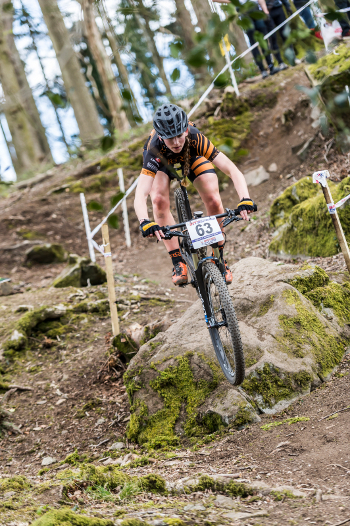 Sadly, after a nasty crash and much to her disappointment, Jo Clay pulled out of the Women’s Elite race, but in her 1st race of the season, Jules Toone put in a strong performance to take 14th place. Thank you to Andy Whitehouse – http://www.andyw39.smugmug.com/ for the images in this report. Follow the team on Facebook and Twitter for the latest updates.